A hurricane of harsh words flung from my lips one morning. Another bout with sin. Another let down. In the aftermath, guilty frustration rushed through my veins; my heart felt tired and heavy. One glimpse at my reflection in the mirror, and my face crumpled into a cry. Most perfectionists resonate with the dizzy death spiral of trying, then failing, to achieve impossible standards. Expecting mistakes to come isn’t what brings discouragement. It’s only when flaws set in motion one after the other that we become exhausted, defeated, and stuck. Why does failure drain me so dry of hope? What should I do when I’ve disappointed those around me, when sin grips both hands with steel chains? I realize more and more how conditioned I have been to be ashamed of my weakness. Somehow it is okay to attend to the brokenness in the lives of others, but to admit brokenness in our own homes, even in our own hearts? We have been told that this is downright embarrassing. What we know to be true, though, as we dig into Scripture, is that God is not ashamed of our weakness. . . .This place we are trained to run from—vulnerability—is so precious and beautiful to Him. . . . And my need for Jesus is beautiful to Him; it is what He wants. Contrary to the lofty goals dreamed up in a perfectionist’s brain, failing isn’t the worst thing that could happen. Genuine failure happens whenever we neglect to seek God’s forgiveness and give Him our every weakness those times we do fall short. I realize this is overwhelming. It isn’t easy to wear defeat when we struggle so hard to do things the right way. It’s frustrating when that time and energy is seemingly wasted—again and again. That brings us to a question: Why is it necessary for perfectionists to own our inadequacy? 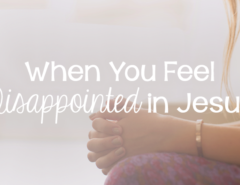 It is crucial and necessary to admit our inadequacy if our flaws are to be properly handled because when a person can do nothing but cry to Jesus for help, it proves the very best place—a place where fresh healing can splash over the joy-deprived ground of our souls, restoring all the weariness with His strength. When we realize this secret, we’ll be free. My flesh and my heart may fail, but God is the strength of my heart and my portion forever (Ps. 73:26). If you’re a perfectionist, please learn from my mistakes. I’ve struggled with it for so many years and don’t want either of us to stay there. We won’t be ashamed of or overwhelmed by our weaknesses. We won’t beat ourselves up. 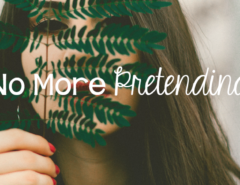 We won’t pressure ourselves to maintain unhealthy, unachievable standards by imposing perfection on our imperfect selves. We will handle each flaw that arises by giving it to God. We will start finding our perfection in Him alone. 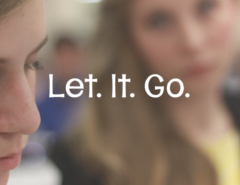 What secrets have you discovered to handle perfectionism? Let’s talk about them in the comments below! PS: This post was originally published here. Moriah is a twenty-one-year-old who loves porch swings, wide open skies, lattes, lab puppies, and the crispness of October. Writing is like oxygen to her heart. 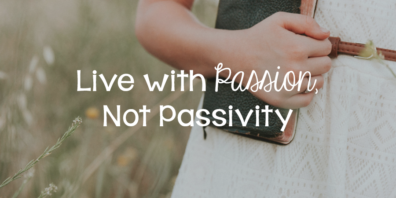 In addition to fulfilling her role as a staff writer at Top Christian Books, she writes for her column Hope for Weary Hearts at PURSUE Magazine. 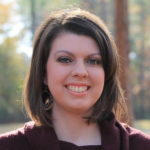 You can connect with Moriah on her blog, delightinginhim.com, and social media accounts @moriahsauthor. 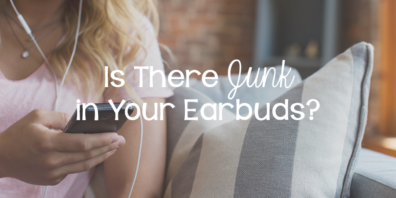 Previous Article Is There Junk in Your Earbuds?